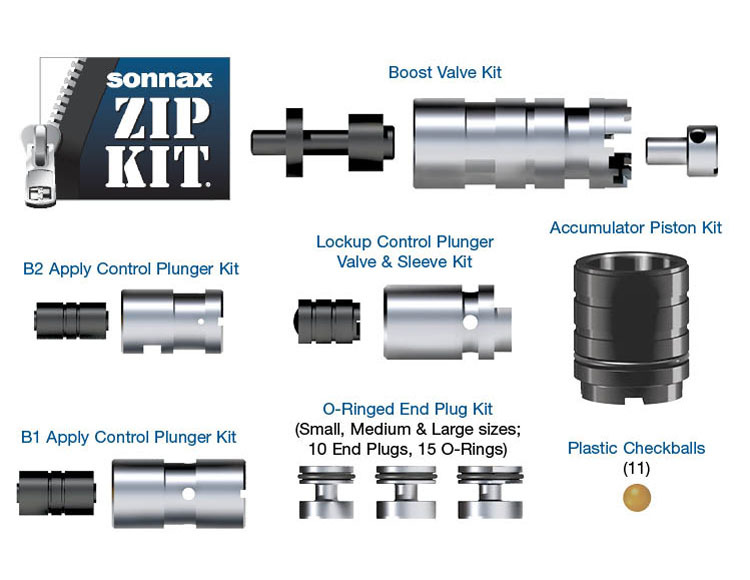 Zip Kit U151E-U250E-ZIP targets the root cause of multiple complaints by sealing the critical circuit pressure losses in the Toyota U151E/F and U250E valve bodies. The kit contains uniquely designed parts to prevent the loss of pressures within the main line, B2 and B1 control, solenoid modulator and lockup control circuits. 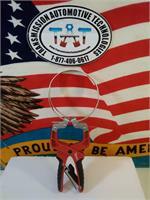 The kit also seals multiple circuits known to suffer from end plug leakage or poor check ball sealing. No special tools are required for installing these parts. The Zip Kit quick guide provides clear and easy instructions on one sheet to get the unit sealed up and back on the road fast. In addition to general rebuilding tips and technical information, the technical booklet included in this kit contains vacuum testing and additional repair options for higher mileage units or for repairing specific complaints which are beyond the scope of this kit. In addition to general rebuilding tips and technical information, the technical booklet included in this kit contains vacuum testing and additional repair options for higher mileage units, or for repairing specific complaints which are beyond the scope of this kit.